I carved a pumpkin at my Dad’s house on Halloween night. Yes, trick-or-treaters were arriving as we were slicing away. Better late than never. And pumpkin. I heard some ladies talking at the gym this week that they were “all pumpkin-ed out” (this was after the debate concerning the appropriate time to start applying to get your daughter into summer equestrian camp. Apparently it’s quite competitive. These women are losing sleep over this). I’ve actually started to turn down my ipod at the gym; the conversations I overhear are serious fodder for future writing projects. You couldn’t make this stuff up. But back to pumpkin. I, for one, am not all “pumpkin-ed out.” In fact, this is the first time I’ve broken out the pumpkin this fall, and I’m sensing a trend here. I missed the boat on the sour cherries in late summer and never got around to canning tomatoes. And man the peaches were good this year in California–should’ve made jam. But enough with the “should haves.” I’m not letting pumpkin slip through my grip. 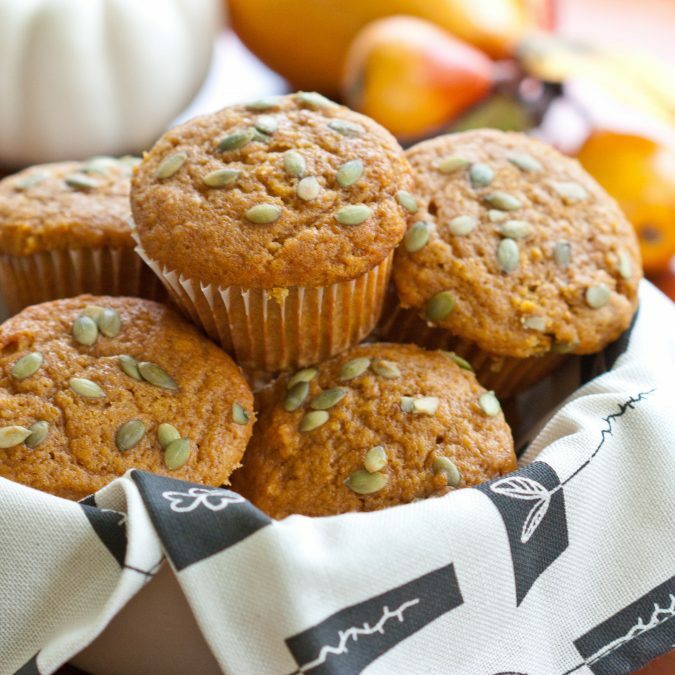 And I’m sharing these lightly spiced, super moist fall muffins with you today. Better late than never. 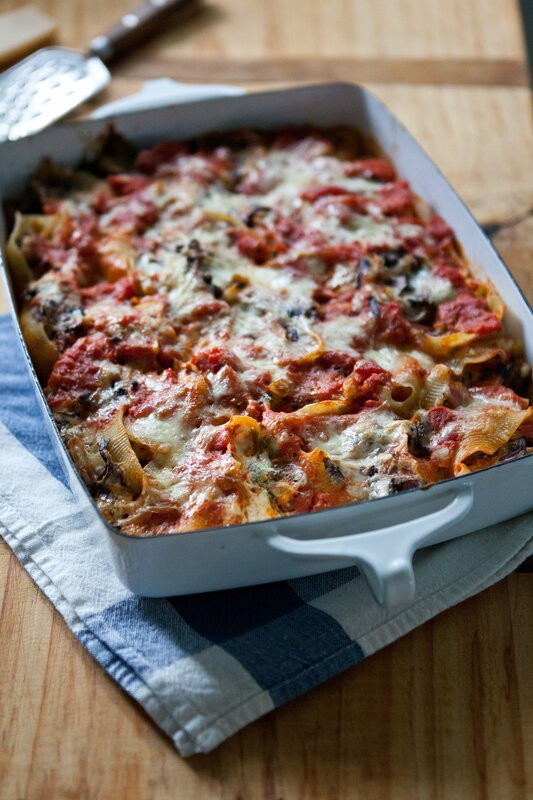 This recipe is from my bakery crush, Flour Bakery in Boston. I wrote about their oatmeal cookies last week on The Kitchn and last year when I visited Boston, I snapped a few photos. Flour is the ultimate feel-good bakery. We’d often go when it was freezing out and we needed a distraction from medieval literature and lectures on literary theory. Joanne’s banana bread and double chocolate cookies are the best distraction a girl could ask for. A funny thing I’ve been noticing lately is that I’ve started developing major bakery crushes on bakeries I haven’t even been to. I could make a long list of little bakeshops I’ve fallen in love with after visiting once (or 27 times), but this is different. These are spots I’ve been introduced to online or have heard about through friends. And like any good, fierce crush I can’t stop thinking about them. I’m actually quite obsessed with a little baksehop I stumbled across online called Violet. 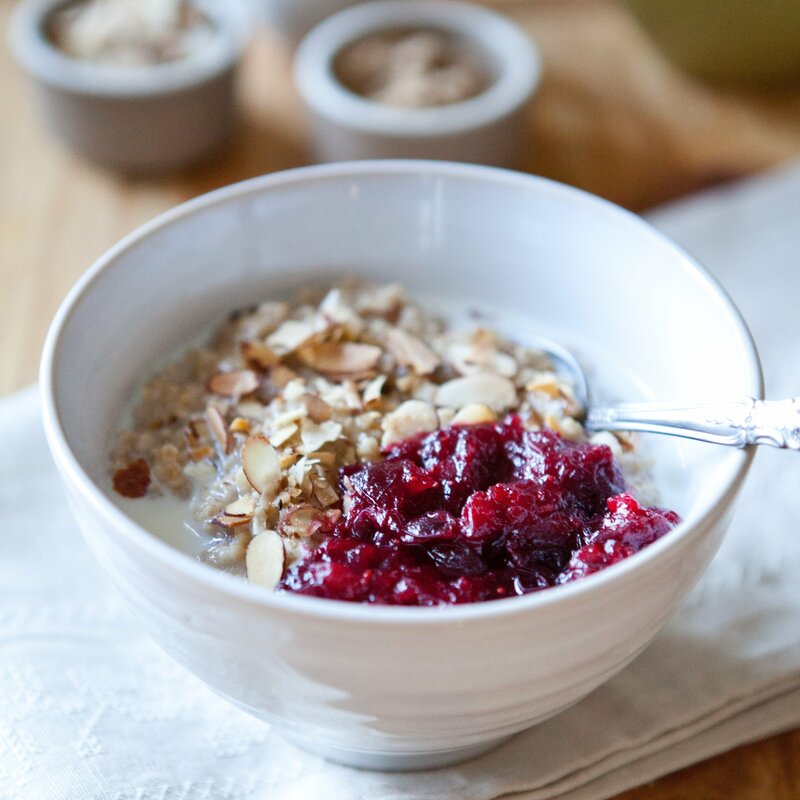 The shop is in East London, and is run by Claire Ptak who used to do pastry at Chez Panisse in Berkeley. Their website is lovely and really gives a true sense of this place and the aesthetic. It seems as though Claire’s successfully created a sweet little neighborhood spot that would feel much like stopping into your best friend’s kitchen for a slice of cake in the late afternoon. Then there’s Four and Twenty Blackbirds in Brooklyn. These two gals bake pie. And savory treats and breakfast pastries. They have a big communal table and serve locally brewed beer in the evening. And people come from late morning into the night to eat, sit, chat. Floriole. I think I first learned of this Chicago bakery from Lottie + Doof (he is a Chicago boy, after all). I’ve since stalked their daily specials online and fallen in love. Their menu is simple but virtually perfect and the space inside is sweet as can be. Mr. and Mrs. Miscellaneos: I’m ashamed that this little spot in the Dogpatch is in my neck of the woods and I’ve never been. I’ve heard only amazing things about the couple who built out the space from scratch. While technically not really a bakery I suppose, they do make virtually everything from scratch and in addition to their ice creams, they apparently do a fabulous fudgesicle and people trek to the little-bit-out-of-the-way neighborhood for their homemade cones. Do you have any bakery crushes? I’m visiting NYC in a few weeks, actually, so if you have any spots you love there, I’d love to hear about them! The addition of pastry flour here makes this muffin a smidge lighter and fluffier than the one at Flour. If you don’t have pastry flour at home, go ahead and use all all-purpose flour. I also amped up the spice profile after making them once and wishing there was a little more oomph of fall in each muffin. Feel free to top them with pecans instead of pumpkin seeds if you prefer. Position a rack in the center of the oven and heat the oven to 350 F. Spray a standard 12-cup muffin tin with cooking spray or line with muffin papers. Using a stand mixer fitted with the paddle attachment, cream together the butter, sugar, and molasses on medium speed for 2 to 3 minutes, or until the mixture is nice and light. Scrape the sides and bottom of the bowl with a rubber spatula. On low speed, add the eggs on at a time, beating well after each addition. Add the orange juice and pumpkin on low speed until combined–don’t worry if the batter looks a little curdled. It’ll firm right up. In a large bowl, whisk together the flour, baking soda, salt, cinnamon, and cloves until well mixed. Dump the egg mixture into the dry ingredients and fold carefully with a spatula or spoon until the dry and wet ingredients are well combined. Don’t overmix here: you’re just joining the wet and dry ingredients. Spoon the batter into the muffin cups, dividing it evenly and filling the cups to the rim. Sprinkle the tops with pumpkin seeds or pecans. Bake for 35-45 minutes, or until the muffins are golden brown on top and spring back when pressed in the middle. Let cool and then place on a wire rack for an additional 20 minutes. The muffins look perfect. Great treat for fall! These look delicious, and I too could never be pumpkin-ed out. I can't get enough of pumpkin. Oh, man. I loved Boston. I loved Flour. We happened to visit it just before leaving town--or we probably would have gone more than once. I would love to go back! Let's make a date in the dogpatch! I'm going home to Chicago next weekend, and you've inspired me to try hitting up Floriole. I'll report back so you can live vicariously! No getting pumpkined-out until after Thanksgiving! I really need to come to the gym with you. And we need a trip to Mr. & Mrs, stat. I think they have violet ice cream - hello! Also, I really wish you were coming to London with me. And: yum. Pumpkin spice. you should go to Baked in Brooklyn, if you've never been! Babycakes was very charming too! I love overhearing gym fodder! TELL ME MORE. Agreed about overheard gym conversations being insightful and getting crushes on bakeries! Haha! Loving the blog. I've shared it with my Mum, and its been making studying for my law exams a lot more bearable when I use it as a study break treat. HA! So true about gym fodder. Your post reminds me how much I love pumpkin goodies. I've been doing a lot of baking from a previous rec of yours: Good to the Grain - love that book. Mr. + Mrs. Misc - GO! So love Ian + Anabelle. Recent faves there: candied violet (as your friend mentions above), pumpkin ale and chicory coffee - natch w/one of their cones. Fudgesicle is amazing - so rich share it. And Anabelle's baked goods deliver as well. NY: Ditto on Clinton Street Bakery. Make the best blueberry pancakes too. Go early unless you have a lot of time to kill. Also, have heard a lot about One Girl Cookie in Brooklyn - if you go let me know what you think. Have been dying to go there. Been to Brooklyn Flea - highly reco it. Finally afraid to read your cookbook post. Celia already has my credit card and I might as well link my bank account to her register. Sorry for long note! I know what you mean about the gym. I live in a small town and my gym used to be like a Peyton Place. I fantasized about several novels over the years that I worked out there. Fun. Maybe you can start a side blog or twitter feed that's just gym convo! The Pioneer Bakery in Downtown Puyallup, WA is a great little scratch bakery.Check it out next time you're in Seattle area. Hi, it's my first time on your site. It's quite nice. I'm not much of a baker, but I'd like to try my hand at this recipe, but I'm not sure what "ground gloves" are. Did you mean ground cloves? If so, it's listed twice with different measurements. Could you please clarify. I look forward to your future recipes as well. Michael! First, thanks for stopping by and for commenting. These muffins are a good place to start if you're not much of a baker--they're easy. And second, dear god, thank you for alerting me to that HUGE typo. I've gone ahead and changed it now and the measurements are accurate. Let me know how you like them! I am also a first timer to your blog thanks to the re-tweet by SimpleBites. Your photos are gorgeous and very fall-y. I love it! And I agree, who could be pumpkin-ed out already? 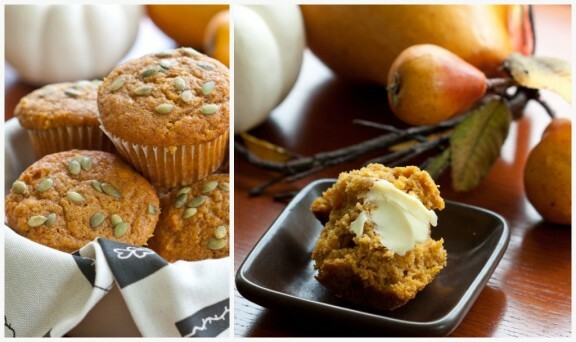 I love, love, love all things pumpkin though I am partial to bread, pie, and muffins as delicious as these. Thank you for sharing! I look forward to reading more. Those look amazing! I don't bake enough with pumpkin, I've just realised. Love the list of your latest bakery crushes. Wish I could visit them! Janet and Anne: Date to the Dogpatch for sure (do you guys know each other?!) Soon! Lori, Tracy, and Hope: the gym chatter never ends! It's generally revolved around plastic surgery or hair dressers I've noticed. Varicose veins seem to be a bit concern this month. Eeek. Maddie: Please DO report back! Megan, thanks for your great blog. Last night I ordered a stand mixer. These muffins will very likely be its first endeavor. I am a year round pumpkin lover too--it's just during the fall that it's easier to share pumpkin things. BTW, check the AP flour amount in the recipe, looks like a typo on my browser. The muffins look wonderful. I agree, it's easy to get obsessed with the bake shops, especially the ones with good websites. I also agree about people at the gym.Crank up the ipod! Yum Megan! I must make these when I get home! I have been longing to bake my pumpkin heart out- but I've been at my in-law's house for weeks now while my mother in law has been in the hospital. Not much time or energy for baking, I'm afraid. Also-it so hard to bake fall recipes when it's freaking ninety outside!! Actually, it's a little overcast today. Maybe I'll whip these up while the house is quiet. Xoxo! Hi Carra! Sorry to hear about your mother in law. These are sure to cheer you up just a little. You're very sweet for spending the time there. xoxo right back. I was *just* looking for a fluffy pumpkin muffin recipe Megan and here you are with a beautiful recipe and a funny post to boot. Bakery crushes? But of course!!! You're a baker! And I think you definitely need to keep on listening in at the gym - those conversations sound fascinating!!! These look delicious and sound perfect! Why do cinnamon, cloves and nutmeg sound so perfect at this time of year - I can't escape it! Never mind the "should haves" There is always next year and your pumpkin muffins sound scrumptious! Oh my goodness... I am in love with Flour Bakery, too! I was just up in Boston for my birthday a few weeks ago, and made it a point to stop at Flour. Soo fantastic! Now I will definitely have to make these muffins because I'm sure they are spectacular! I've been reading a few of our articles. Megan, you are one hell of a writer. When I got to "I hate birds" I almost had an accident. I really enjoy your blog, although its a bit distant from the kind of cooking I'm up to. I absolutely fell in love with Flour when I lived in boston...so much so that I could only make it a rare treat otherwise I would have been quite content to live in that shop. I never tried their pumpkin muffins and now that I live in NYC, I truly regret that. Thanks for sharing as now I can make them at home! I made pumpkin muffins last night - yummy! Thank you for your blog and the excellent recipes(and books) you promote. I've made 4 or 5 things from your post since the spring all have been divine. I also just ordered Flour and I look forward to making other treats. All the best. Don't know if you've made it to NYC yet, but years ago there was a wonderful ancient bakery on I think 77th or 78th street between 1st and 2nd called Orwashers. They made wonderful muffins that we always used in the holiday stuffings. Love your blog! It's the very first one I've subscribed to... talk about better late than never.